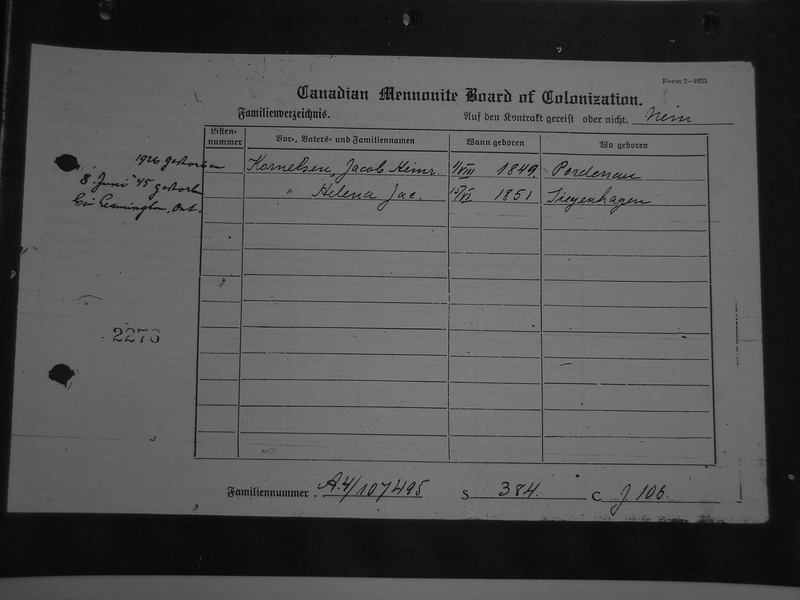 He died in Vanderhof, B.C. 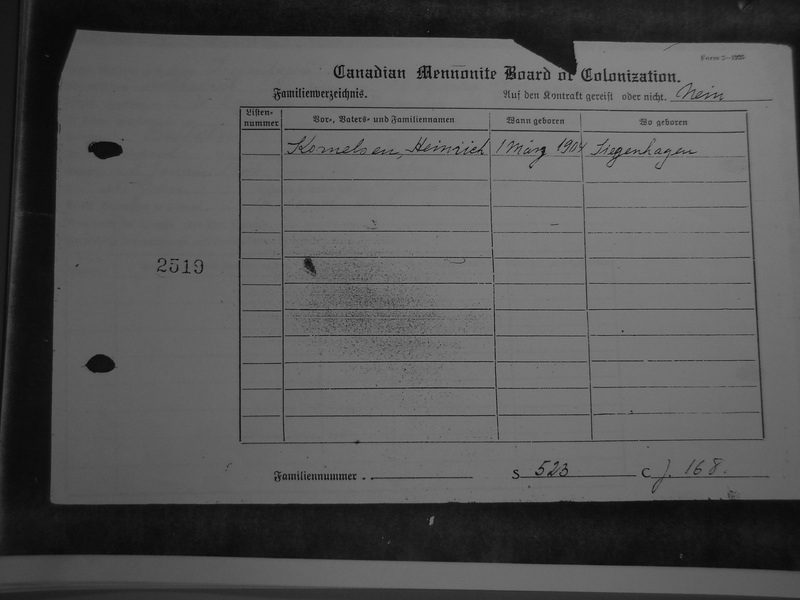 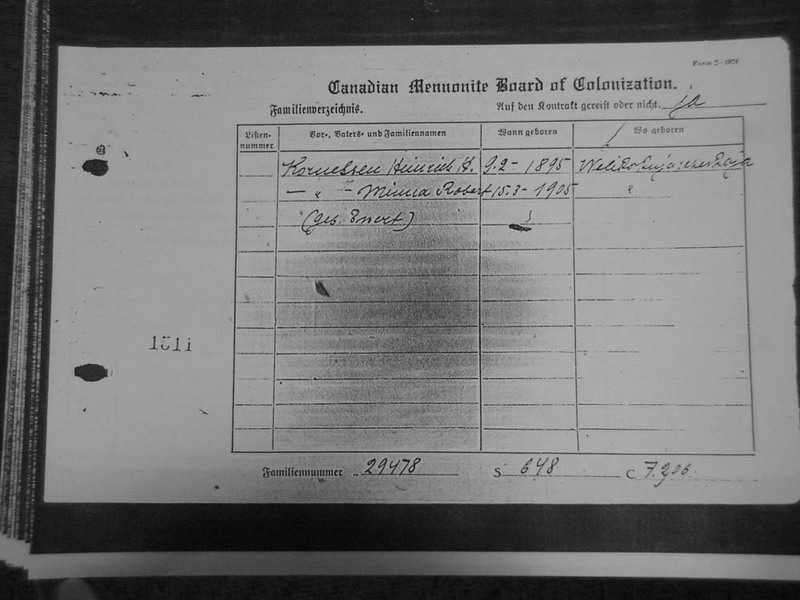 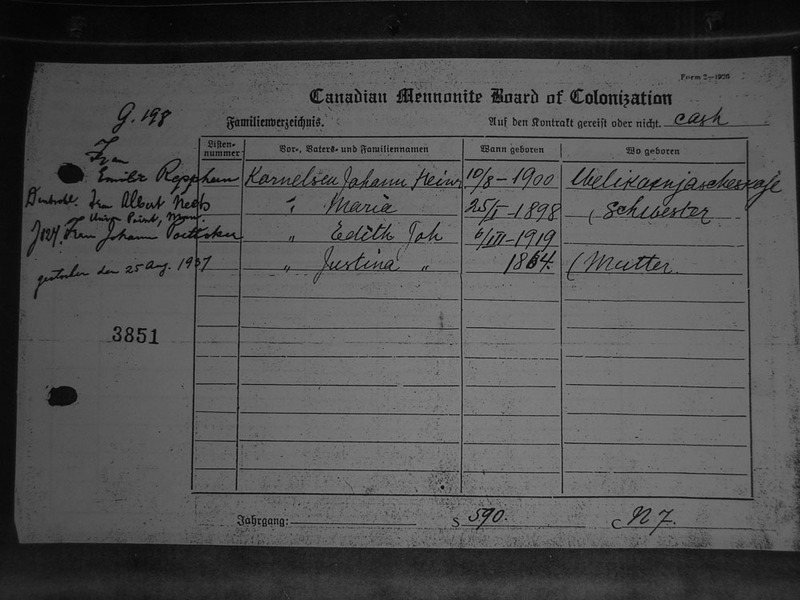 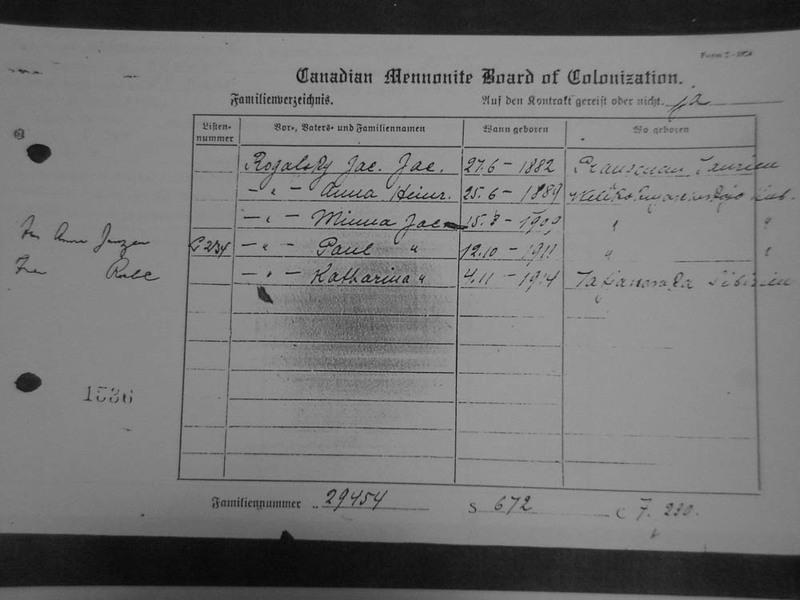 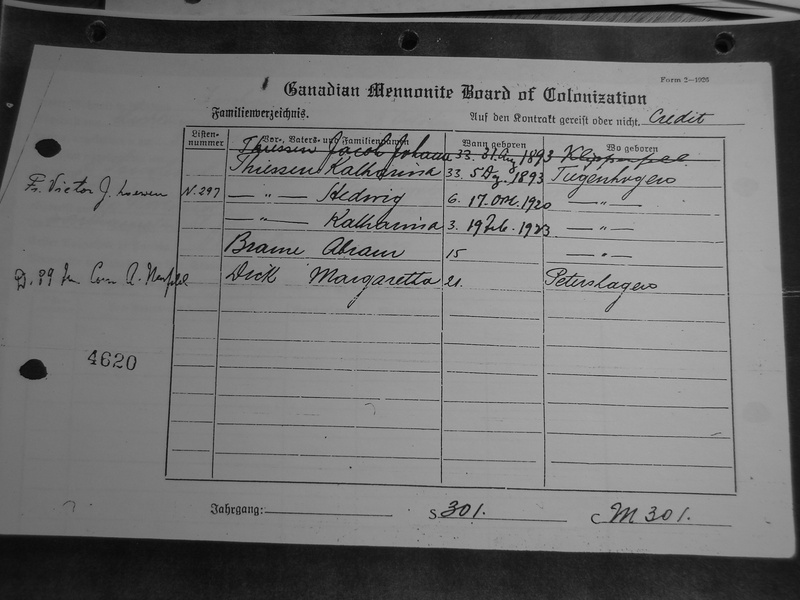 (buried Winkler, Manitoba) in 1918; She in Roland, Manitoba in 1920. 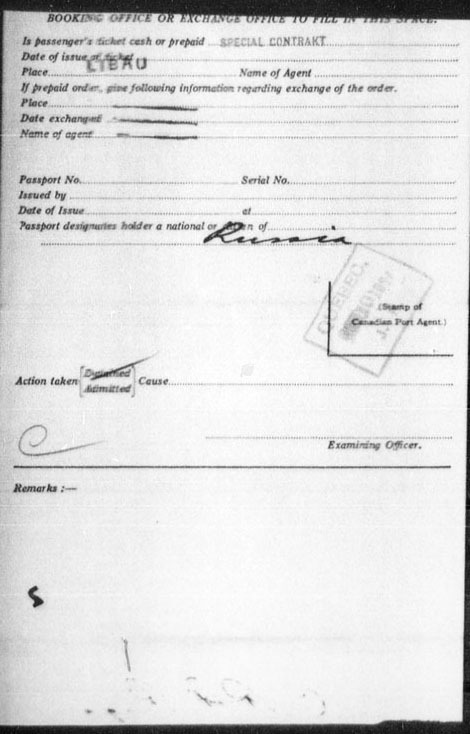 (March 15, 1905, Kuban, Northern Caucasus). 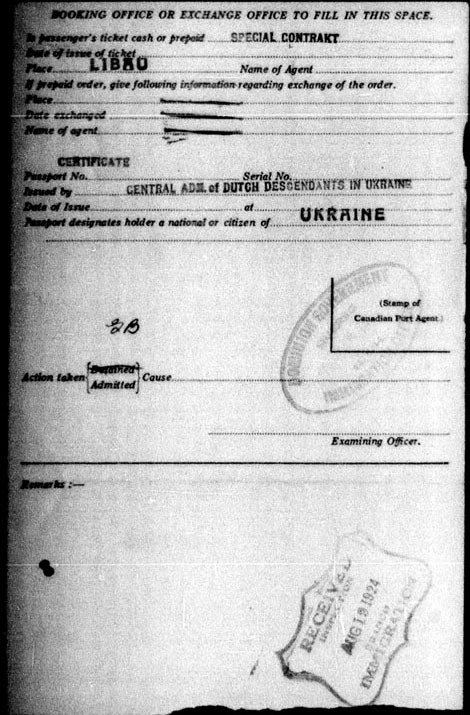 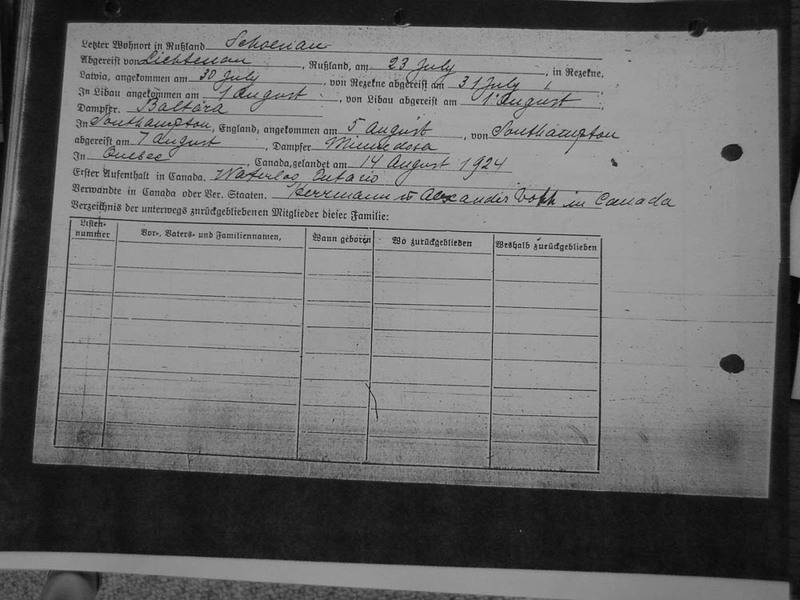 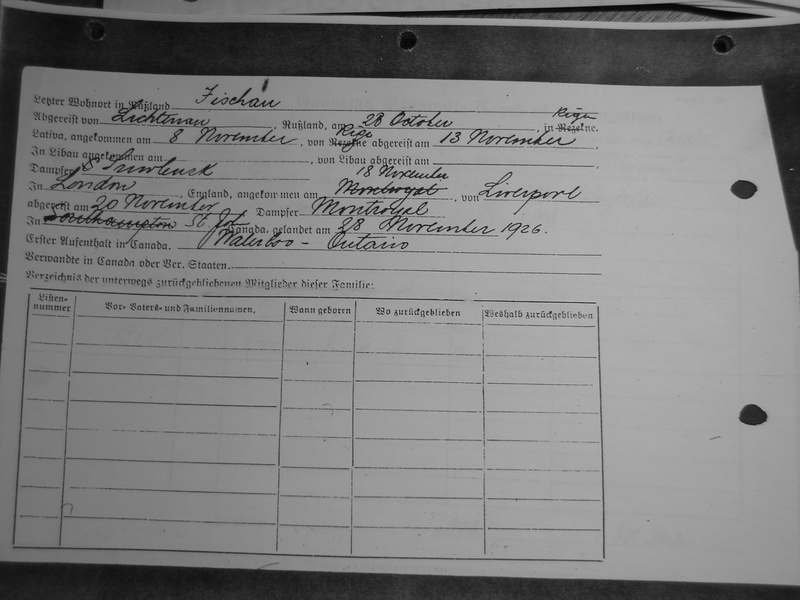 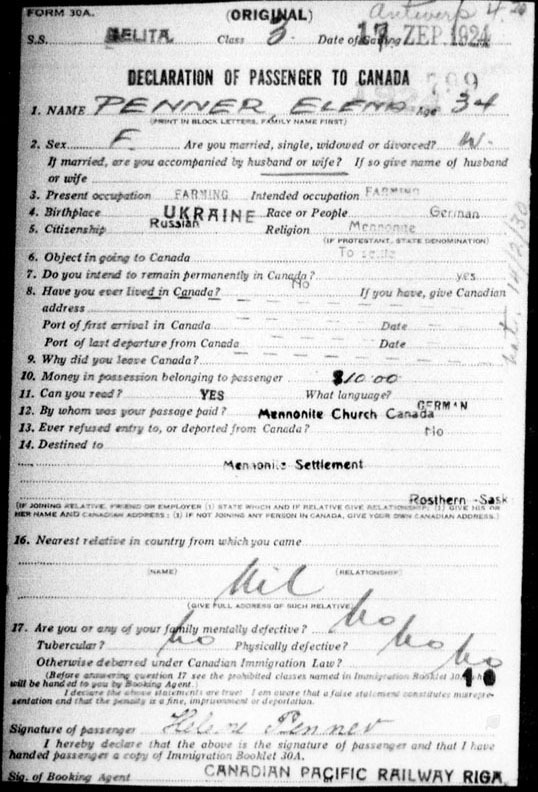 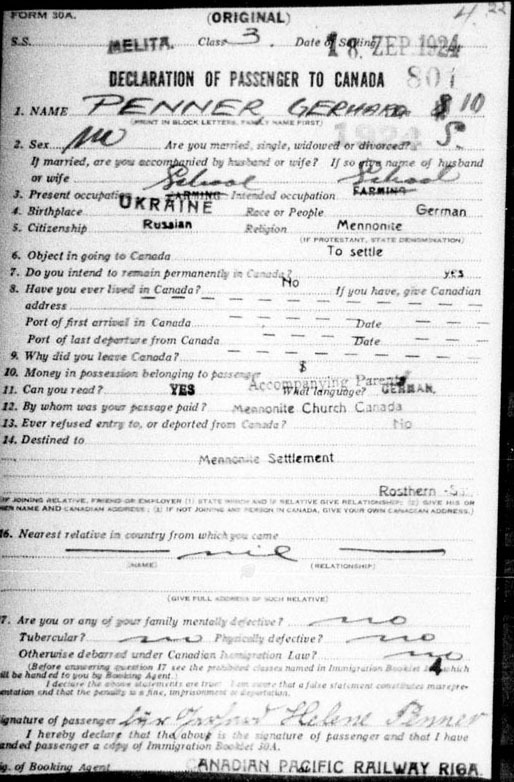 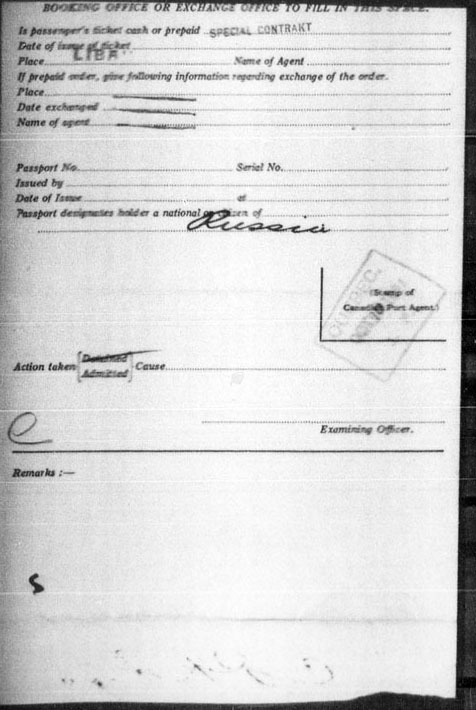 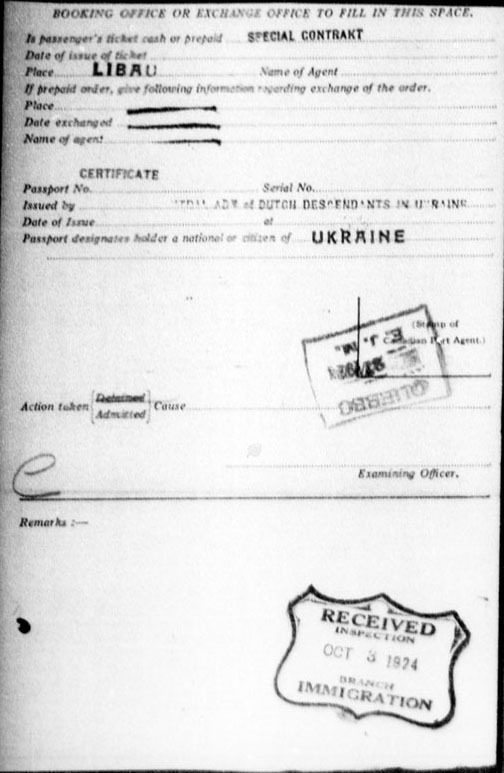 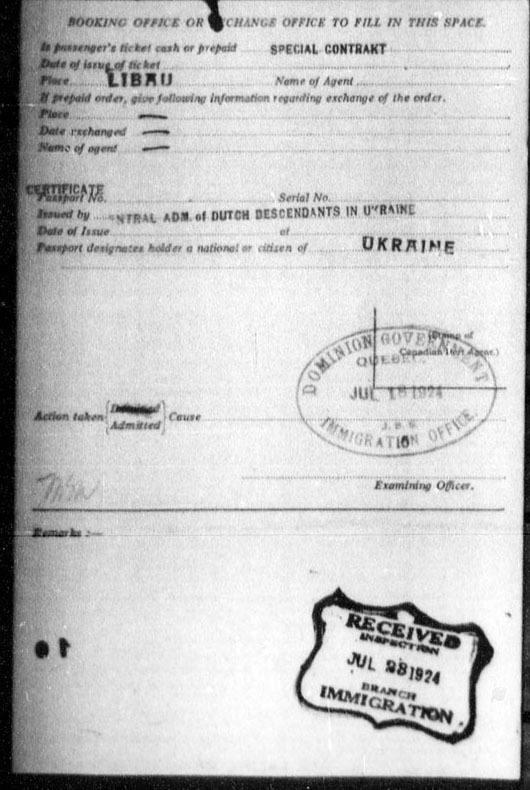 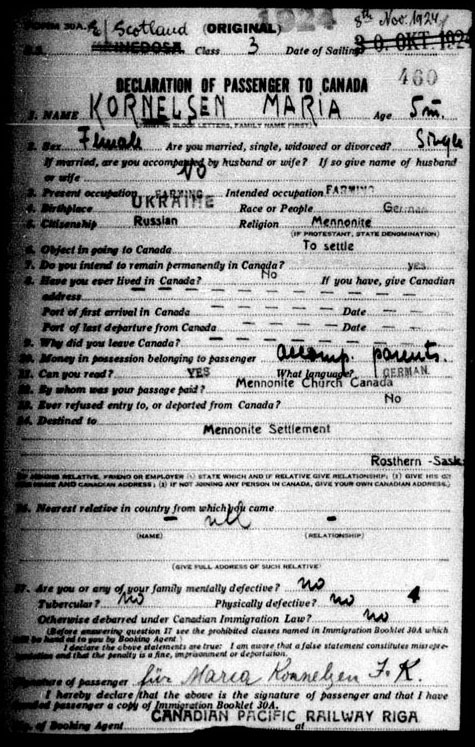 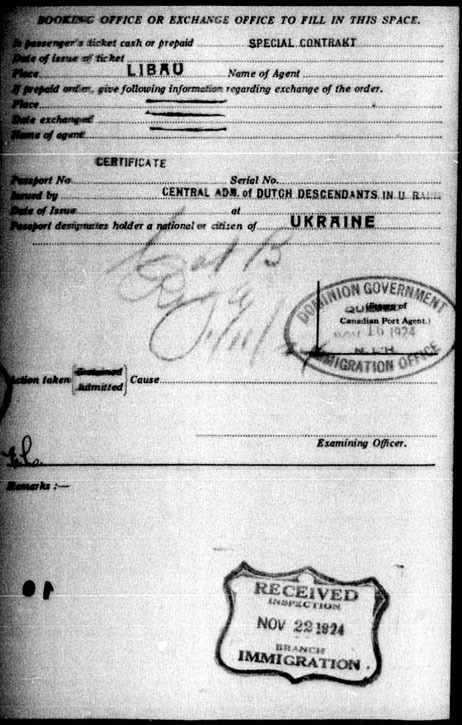 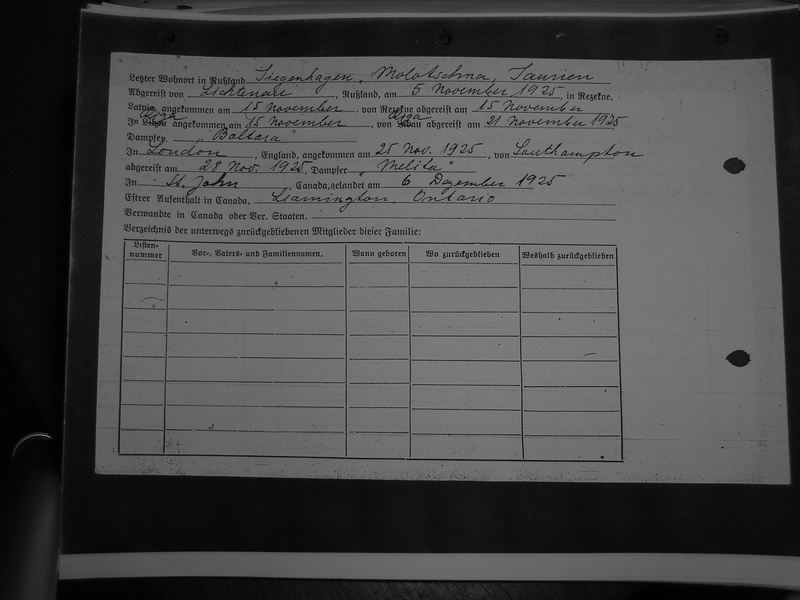 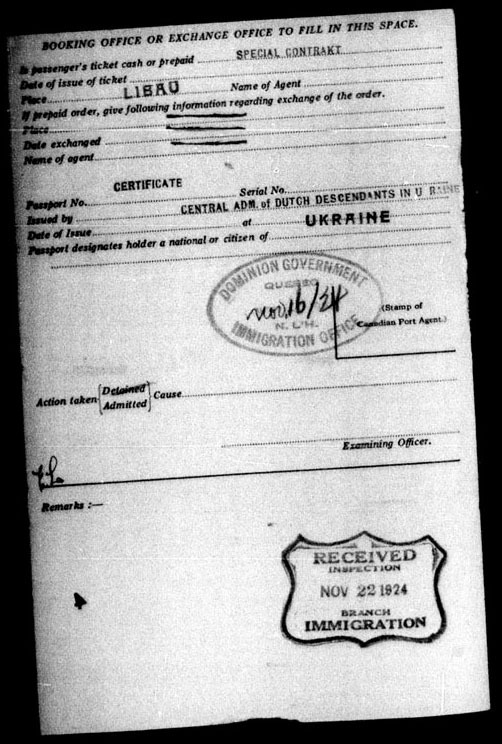 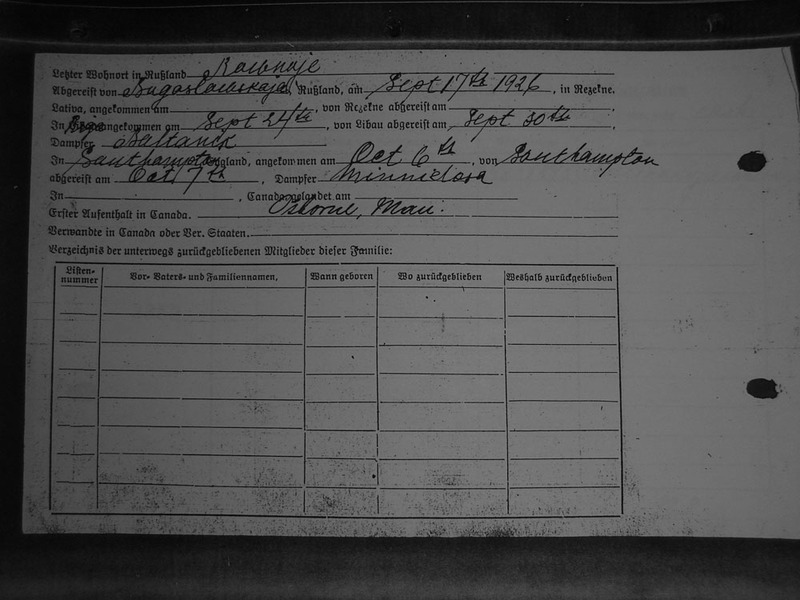 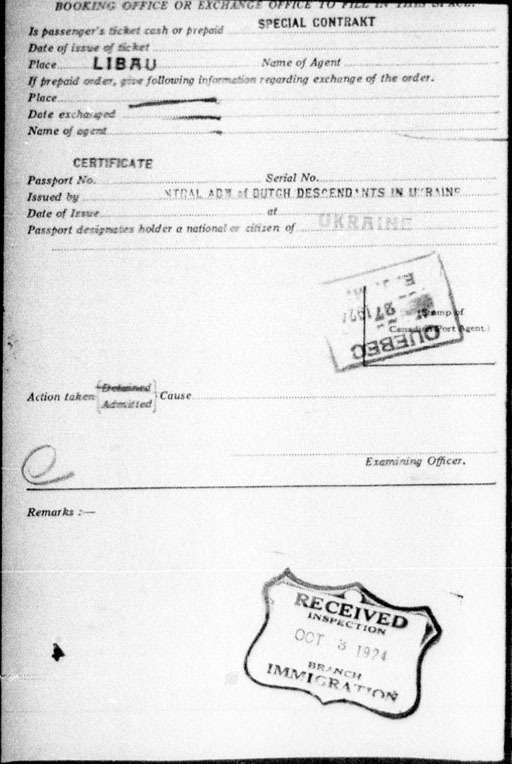 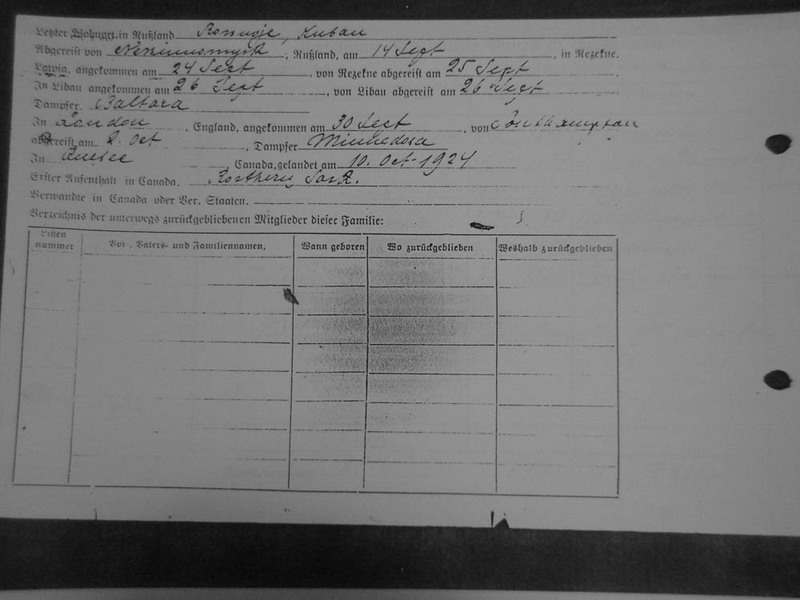 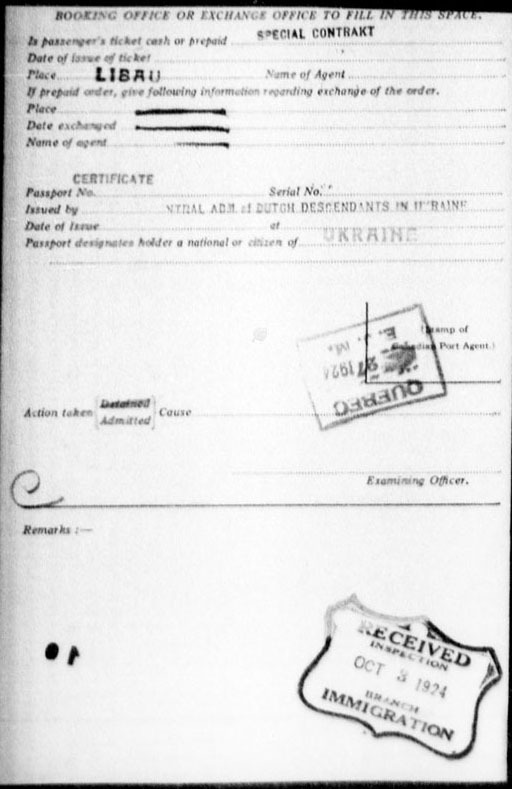 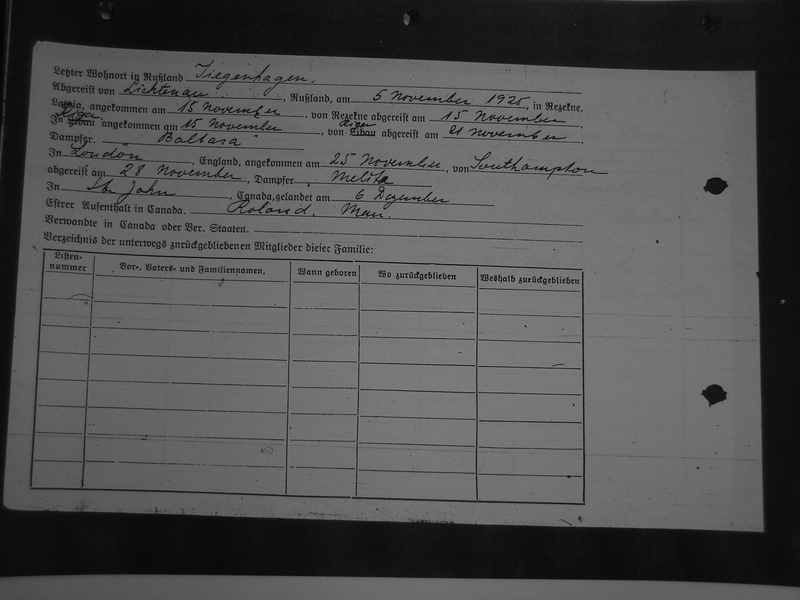 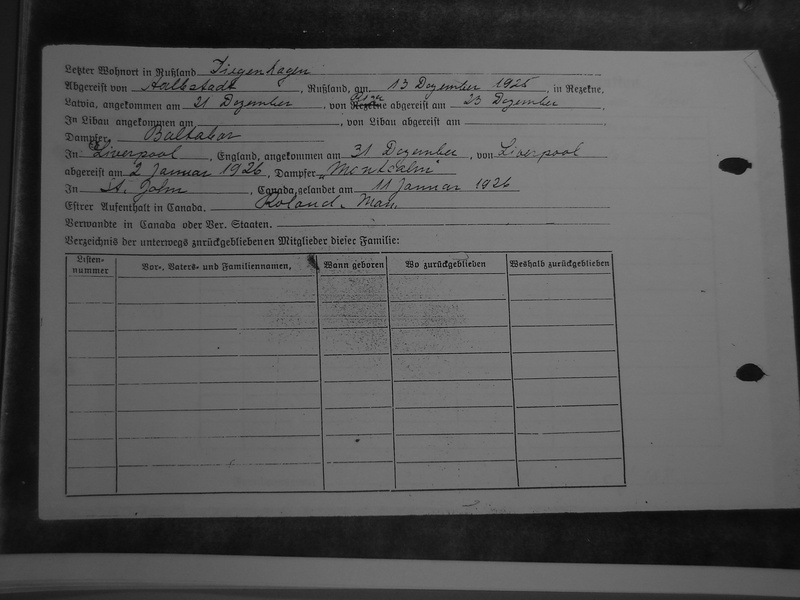 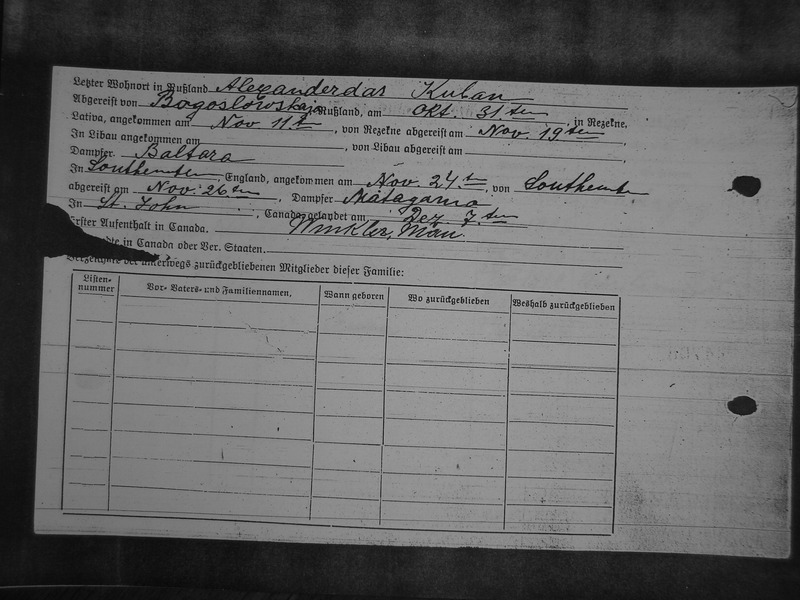 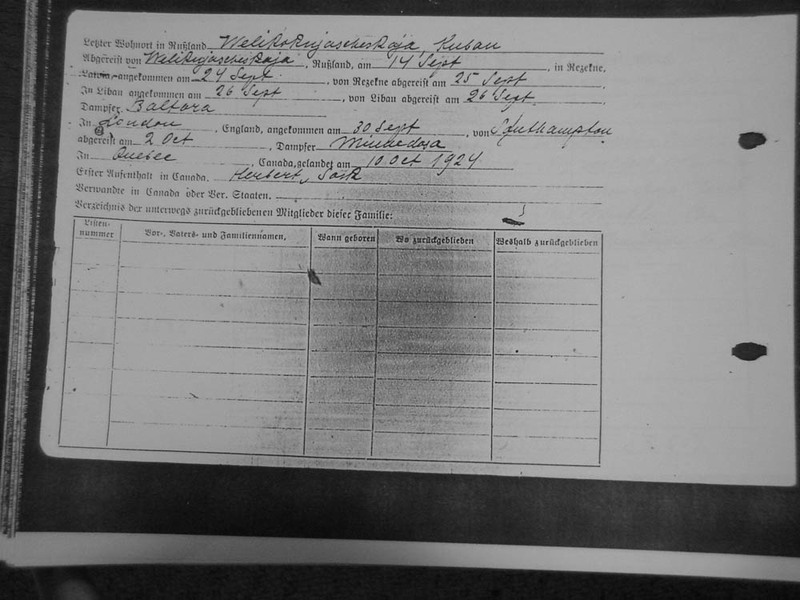 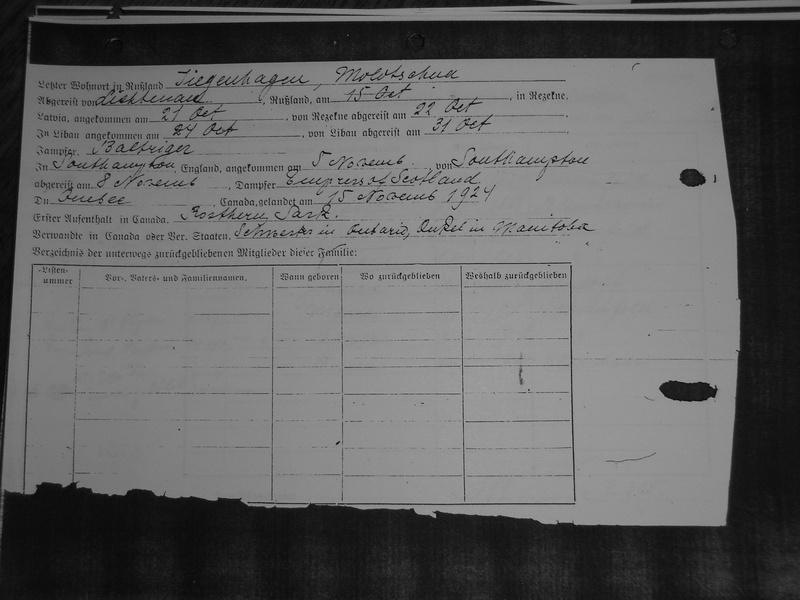 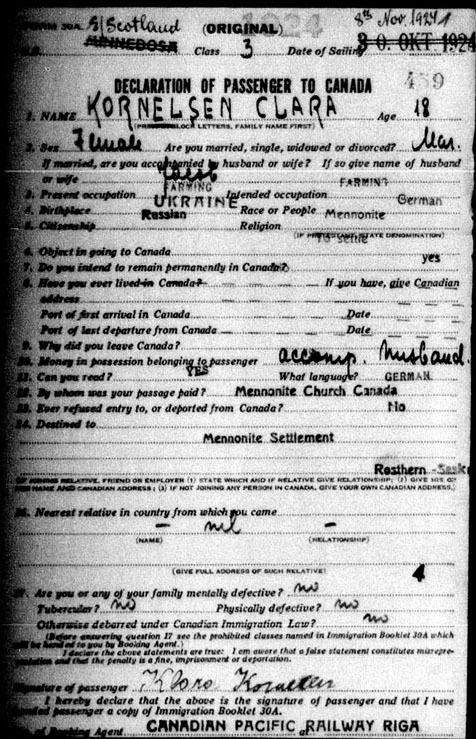 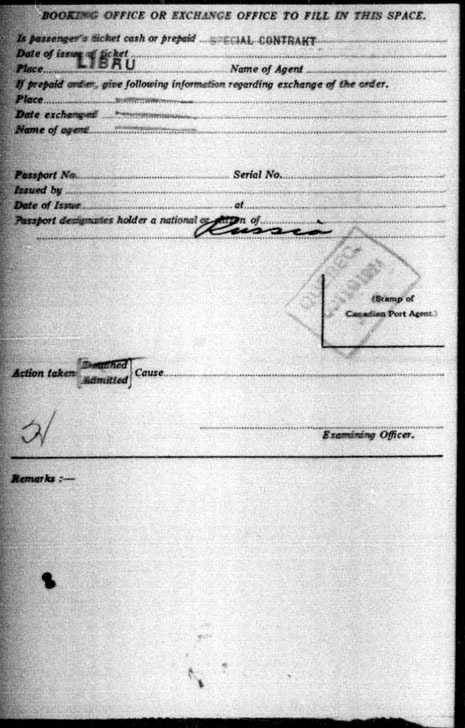 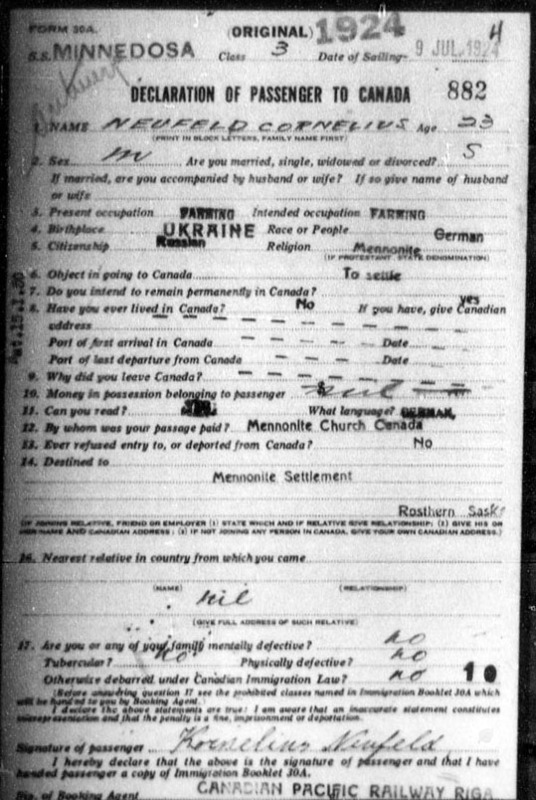 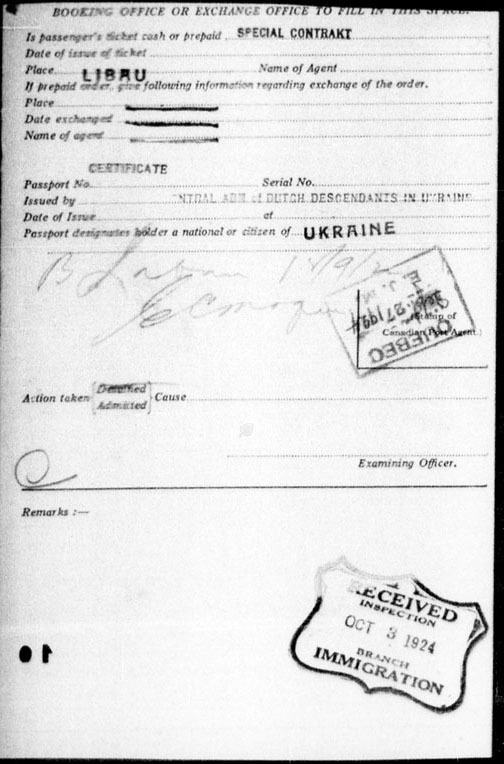 The brother of Cornelius left Russia with his parents and siblings in 1924. 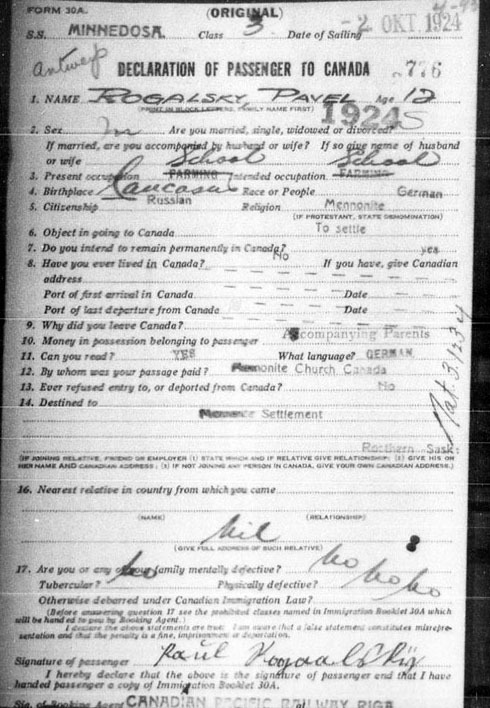 They were received by the John Frey family in St. Jacobs, Ontario, Canada, before settling in Southwestern Ontario's Coatsworth and Wheatley areas. 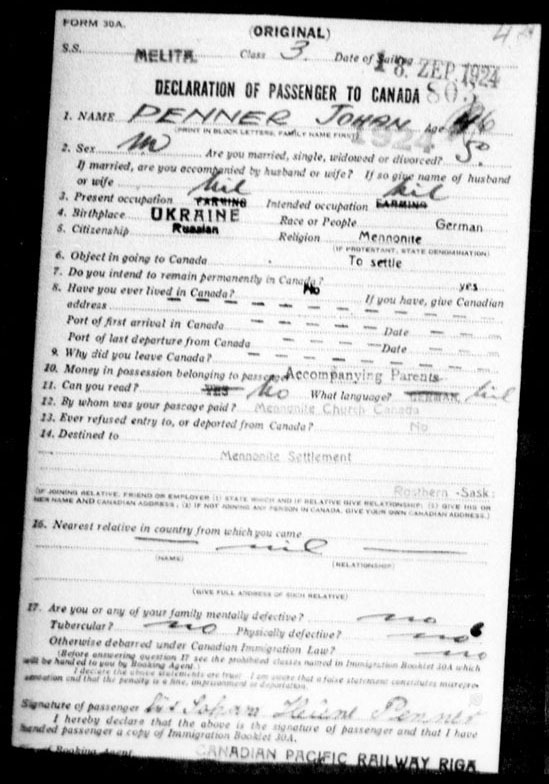 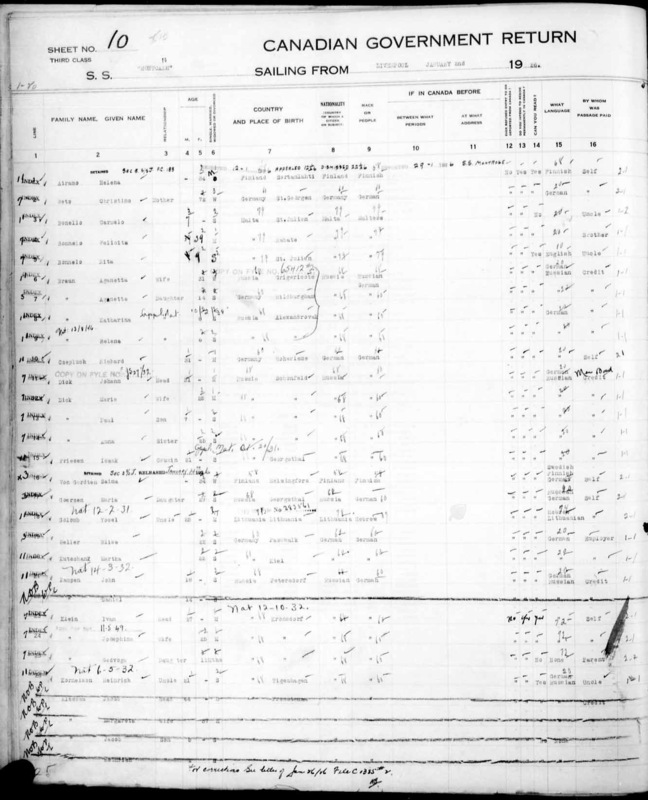 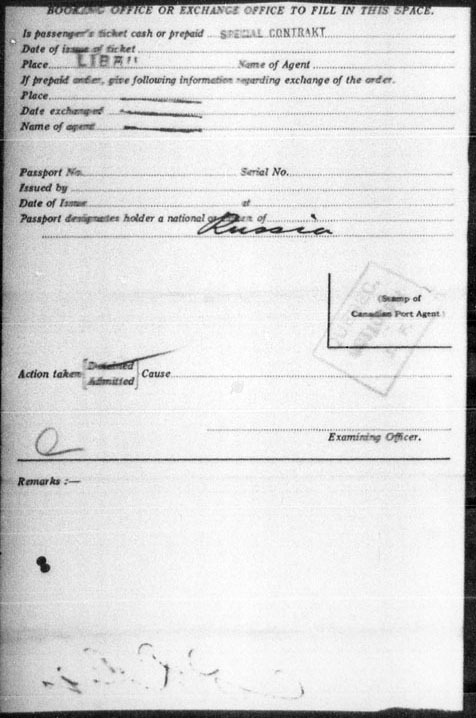 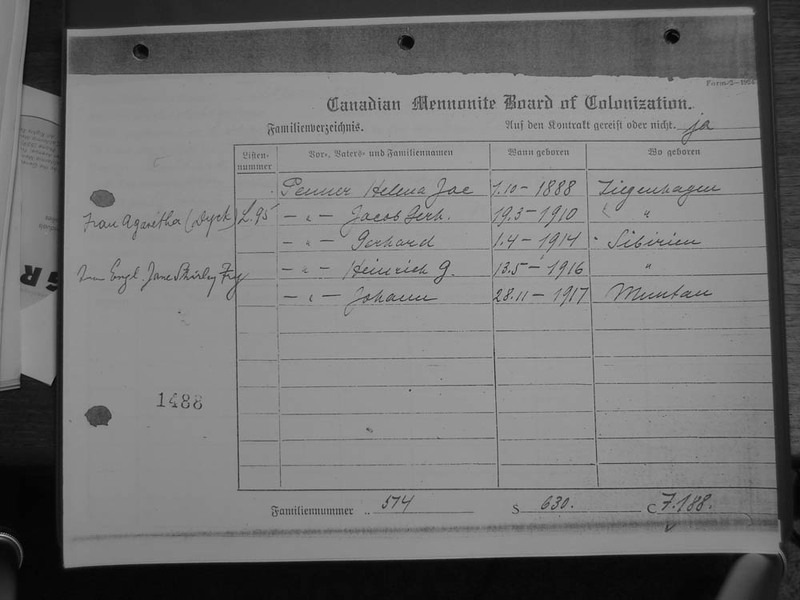 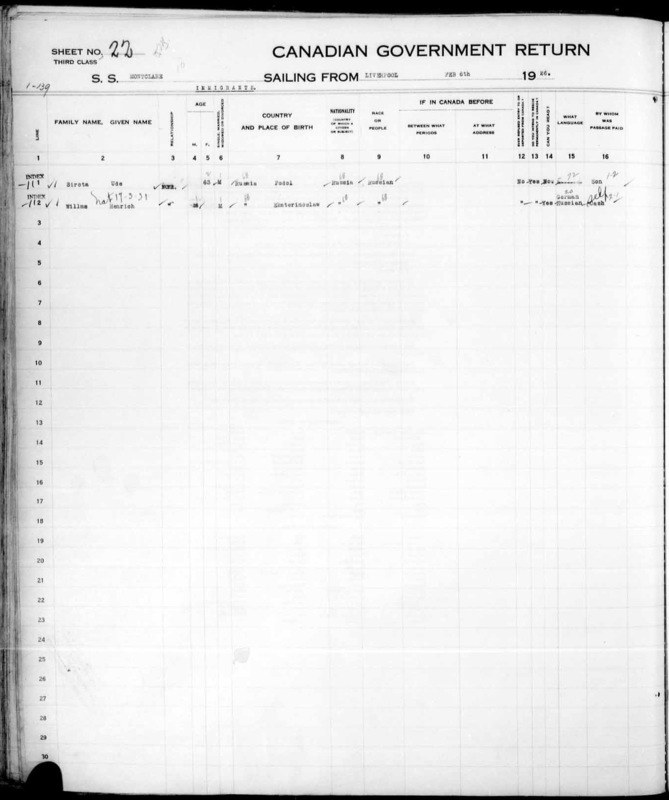 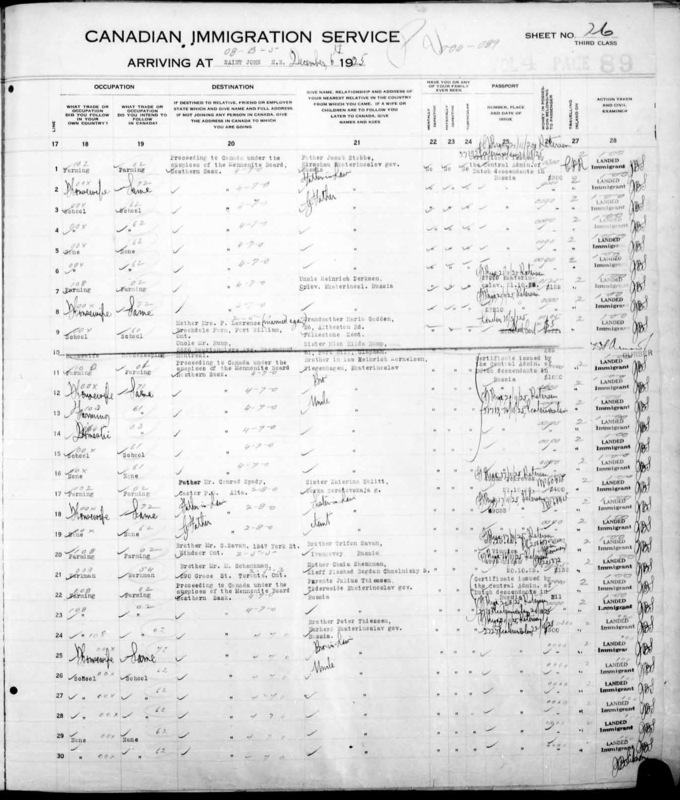 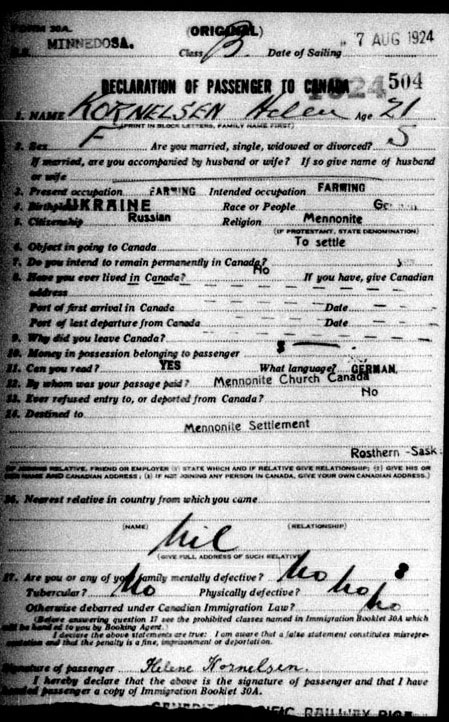 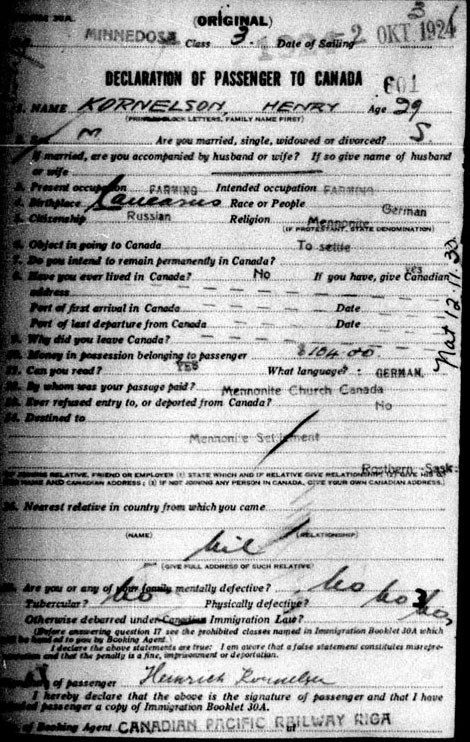 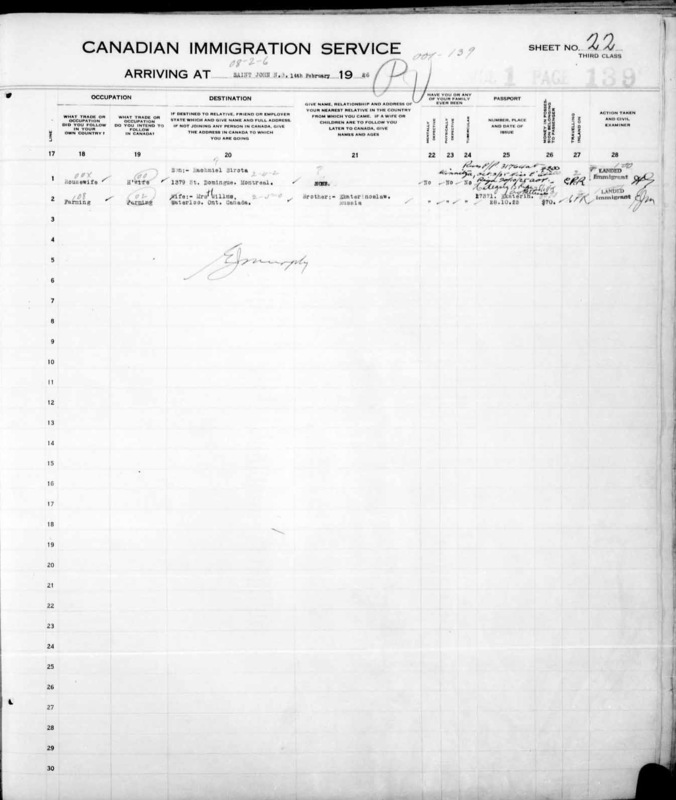 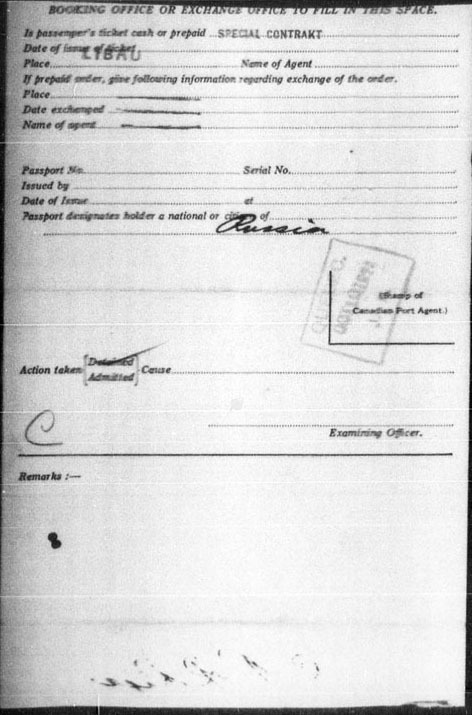 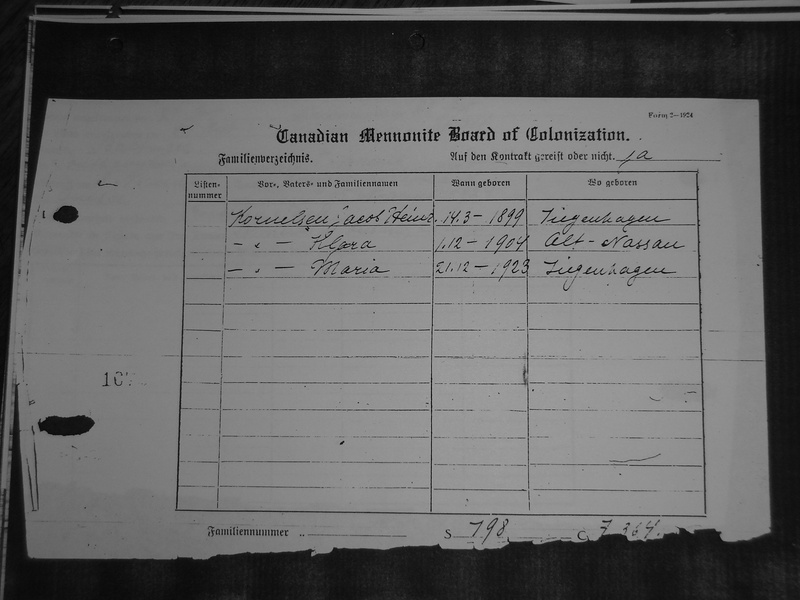 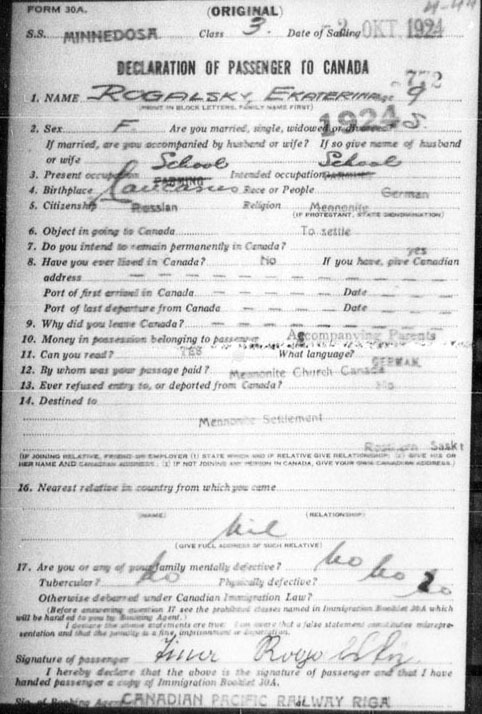 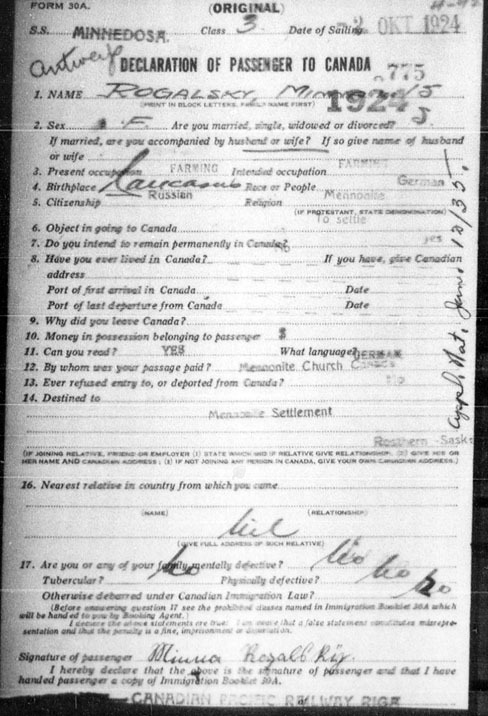 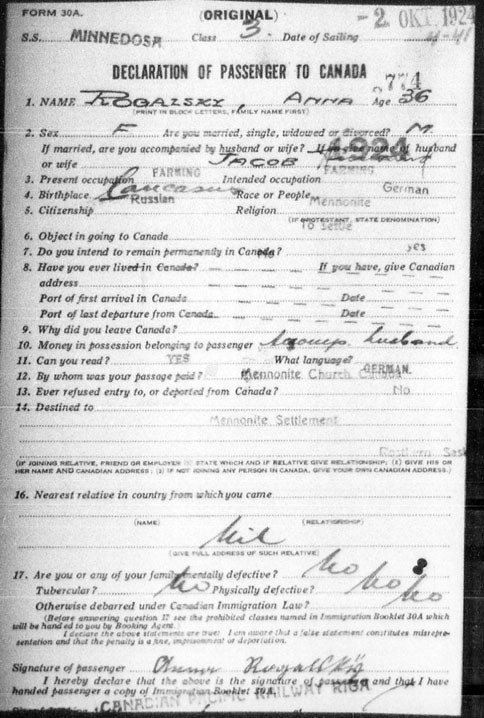 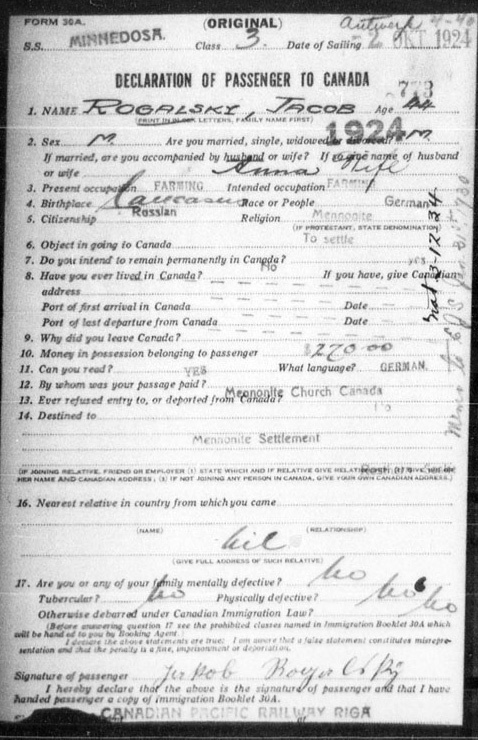 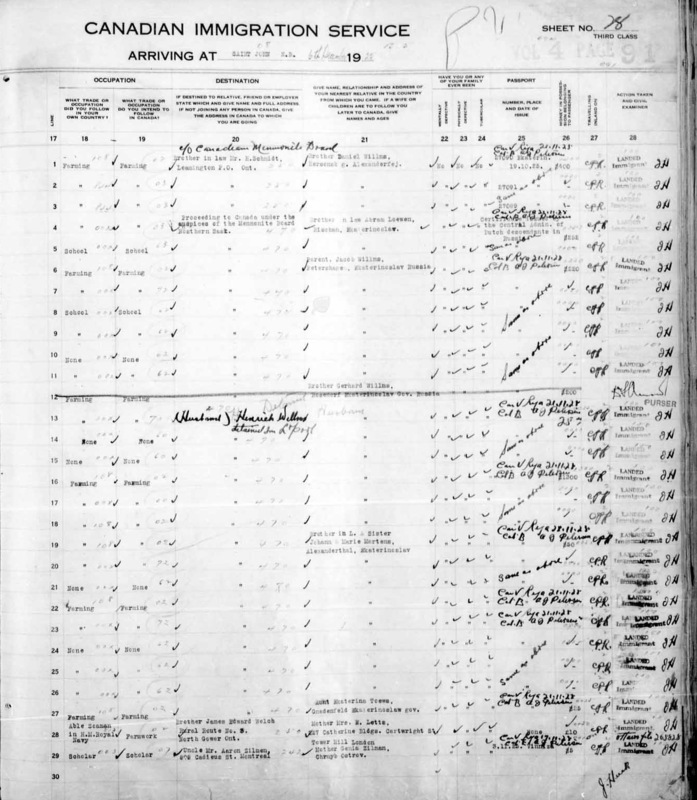 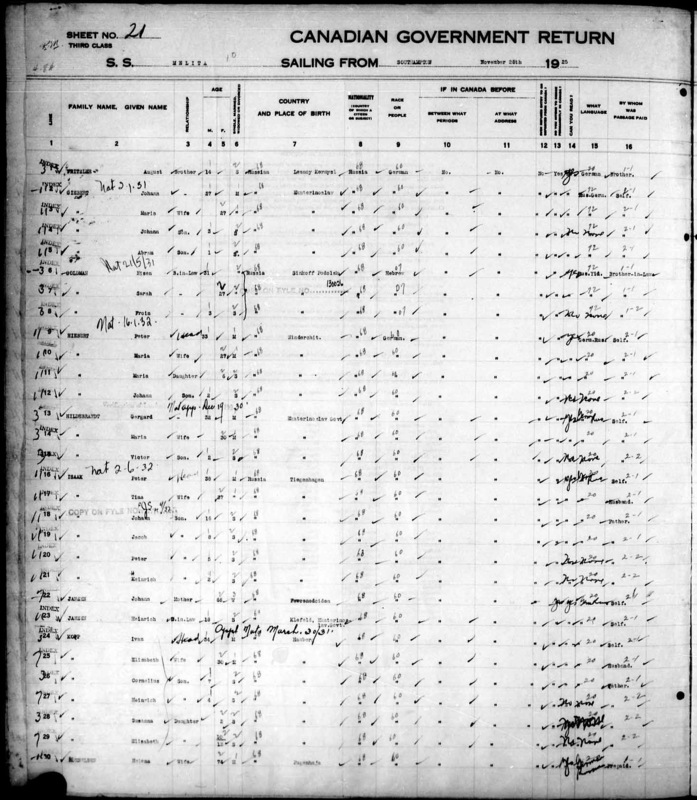 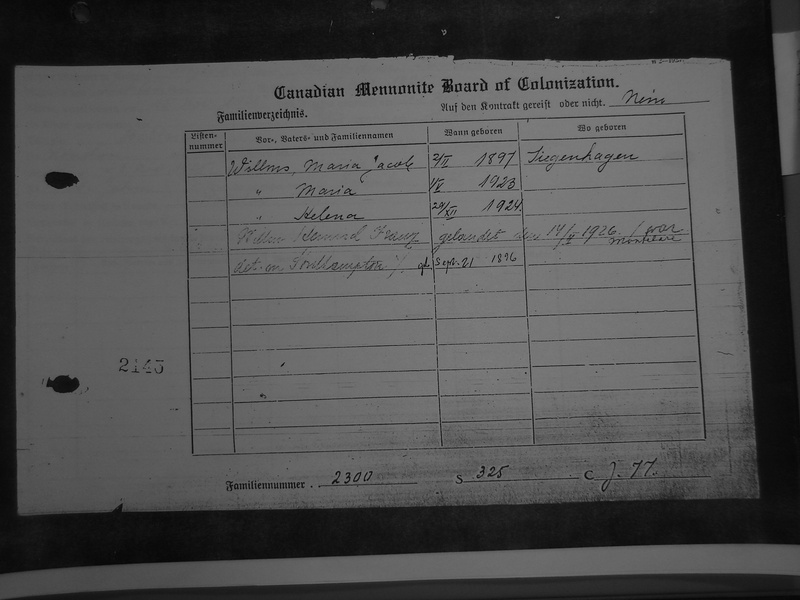 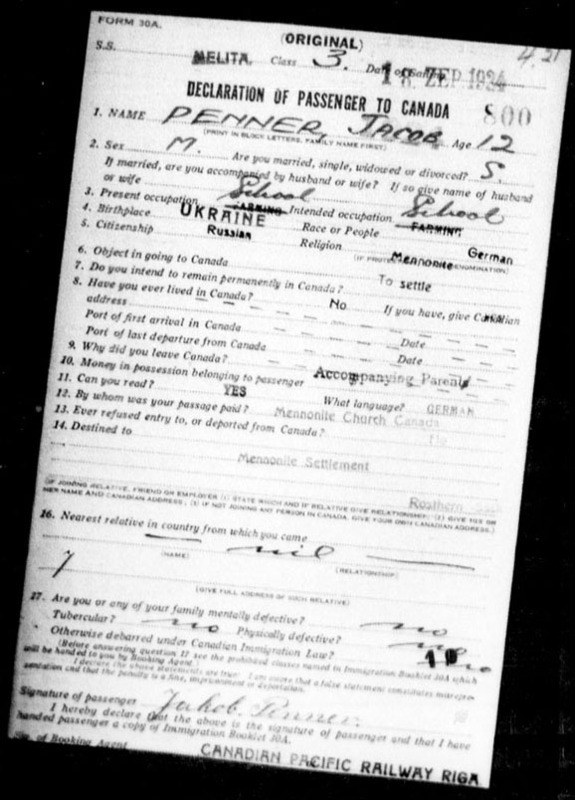 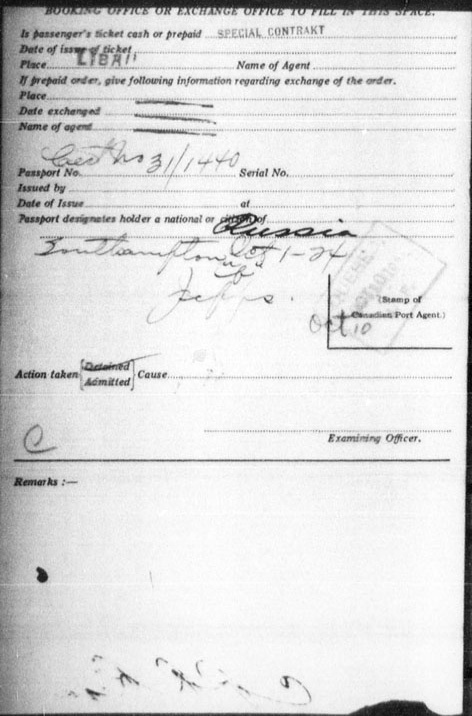 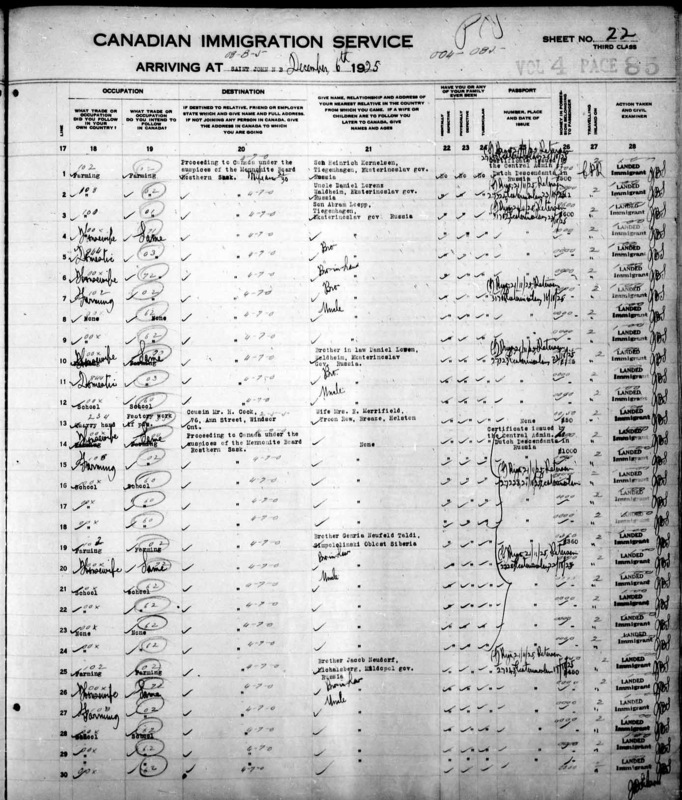 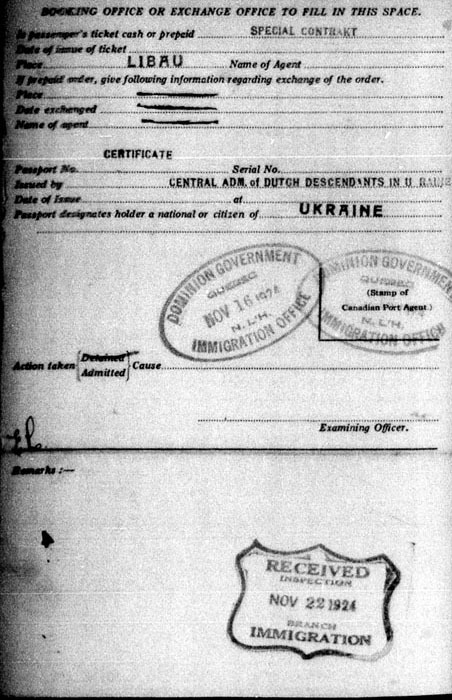 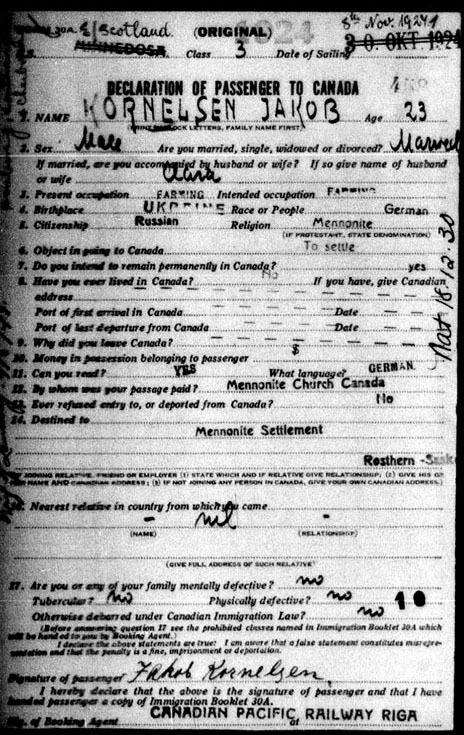 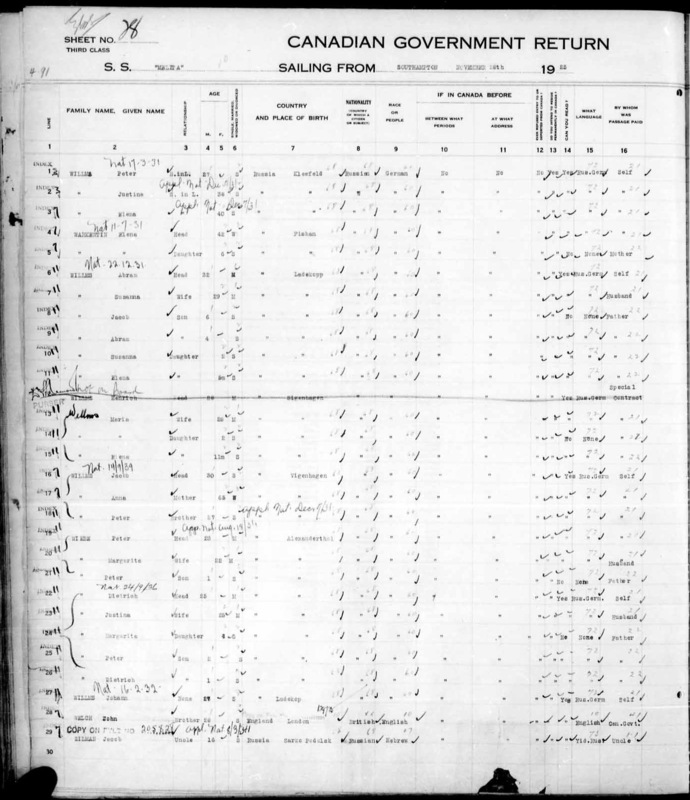 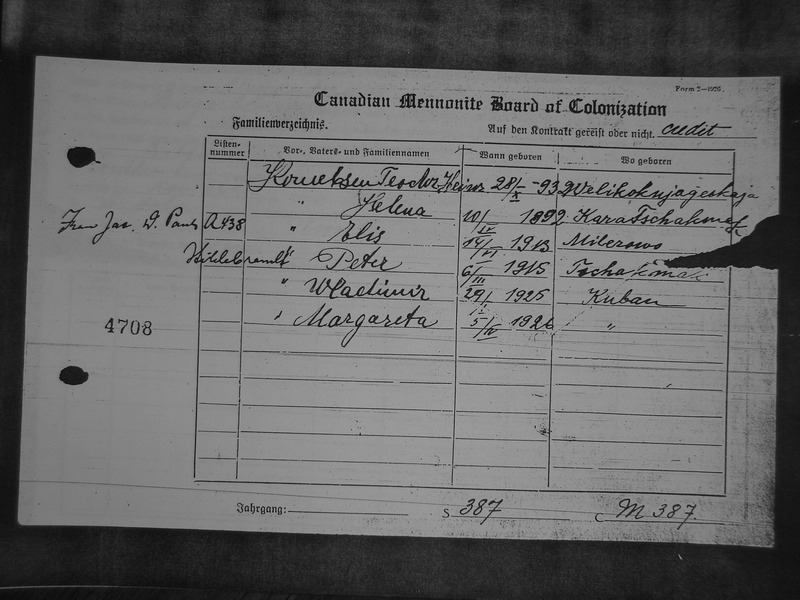 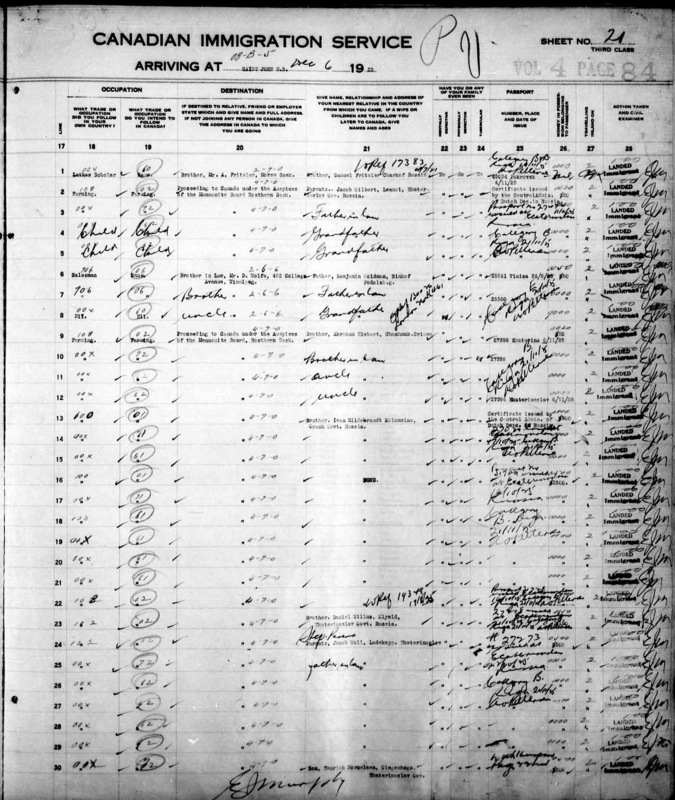 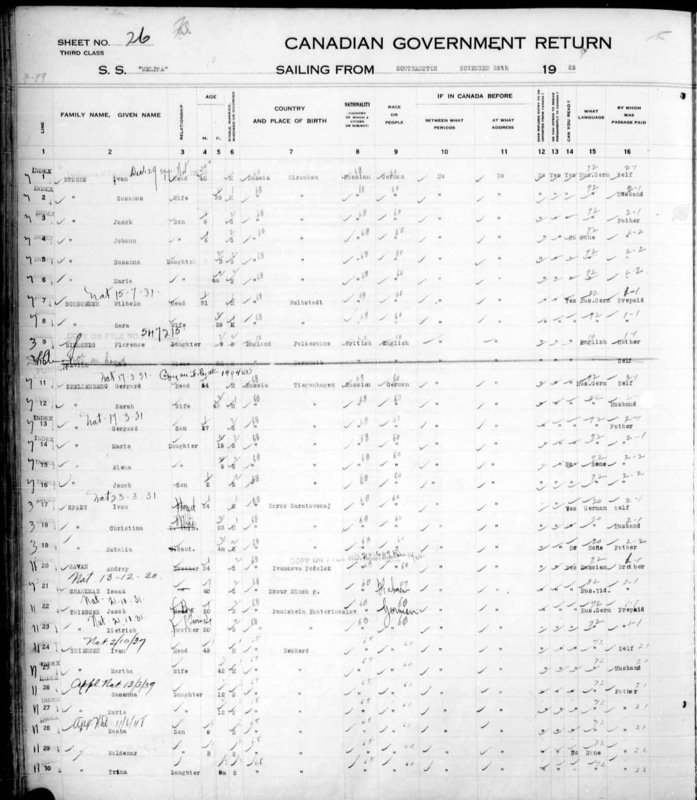 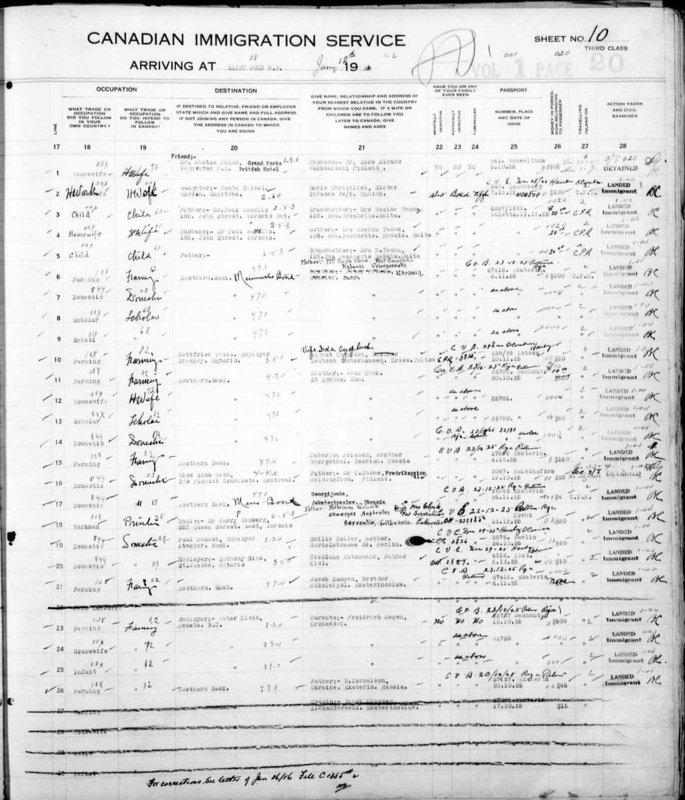 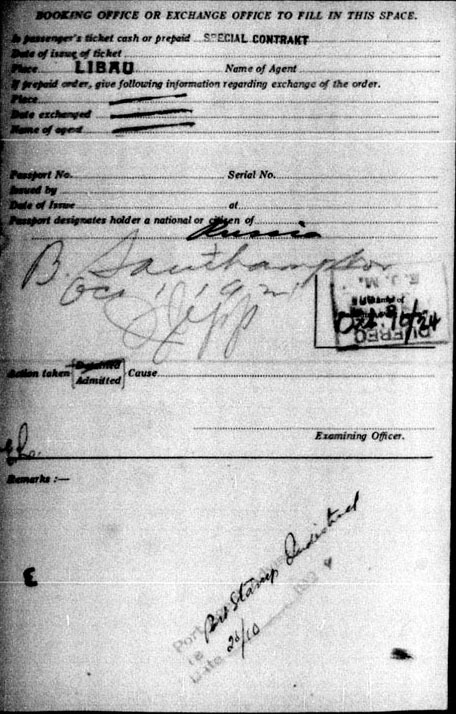 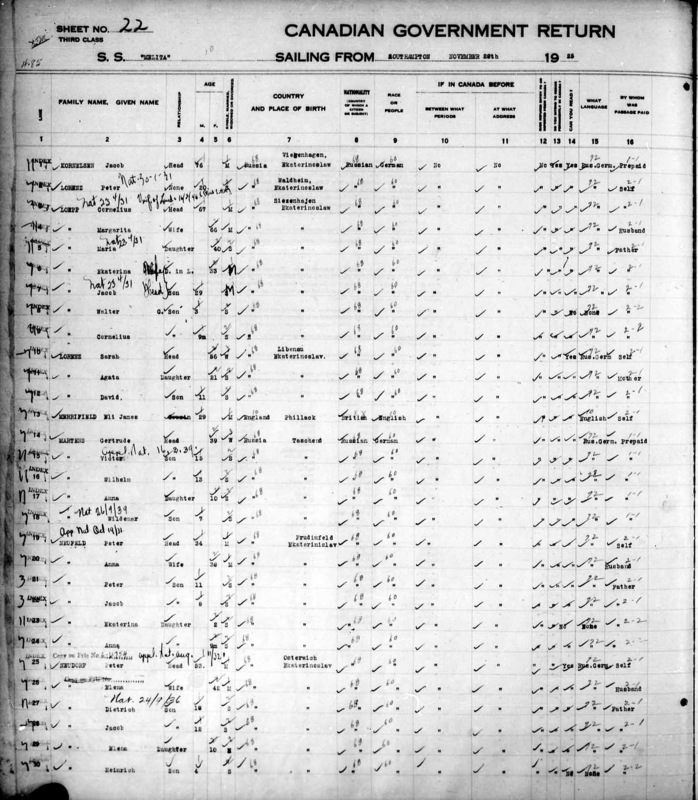 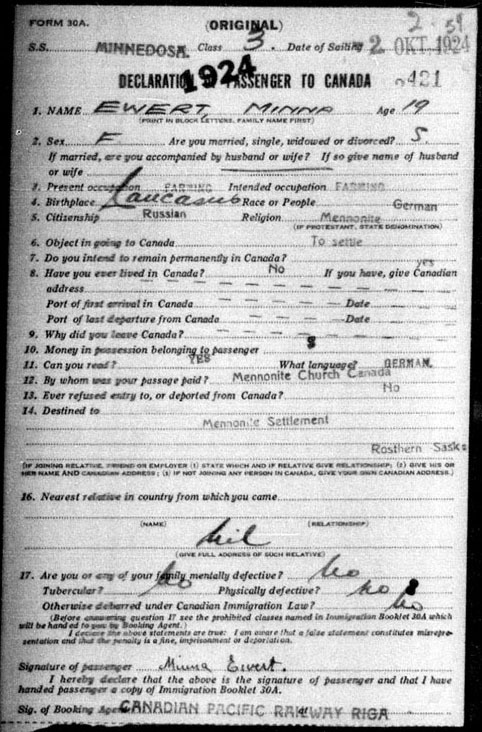 The Family arrived in Ontario, Canada on December 9, 1925. 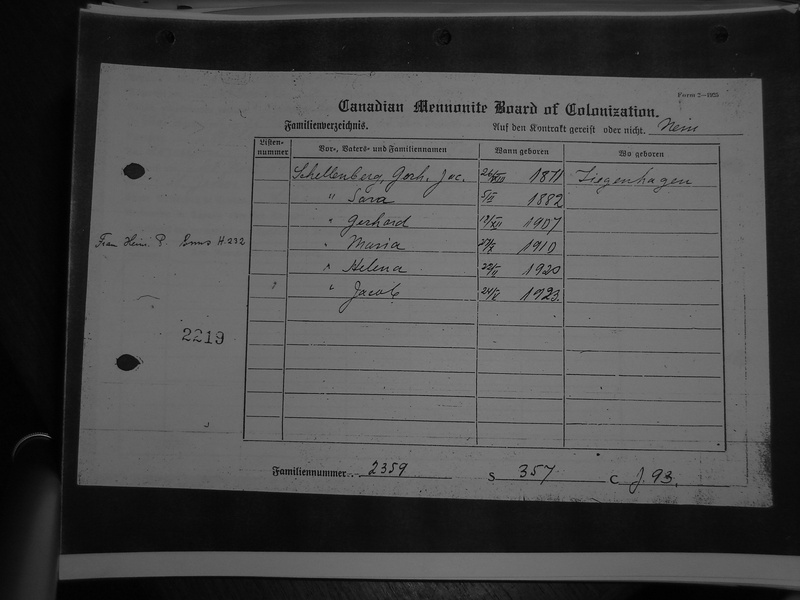 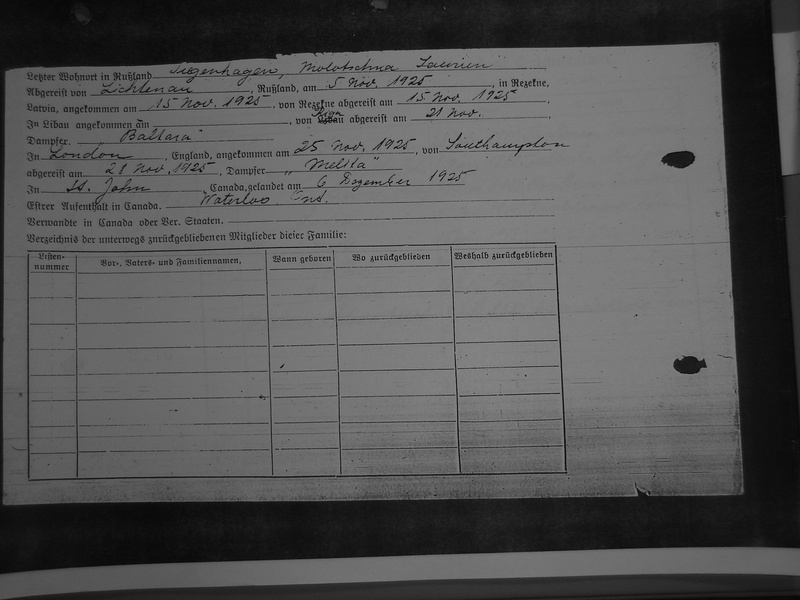 The Schellenbergs proceeded onto Coatsworth, Ontario. 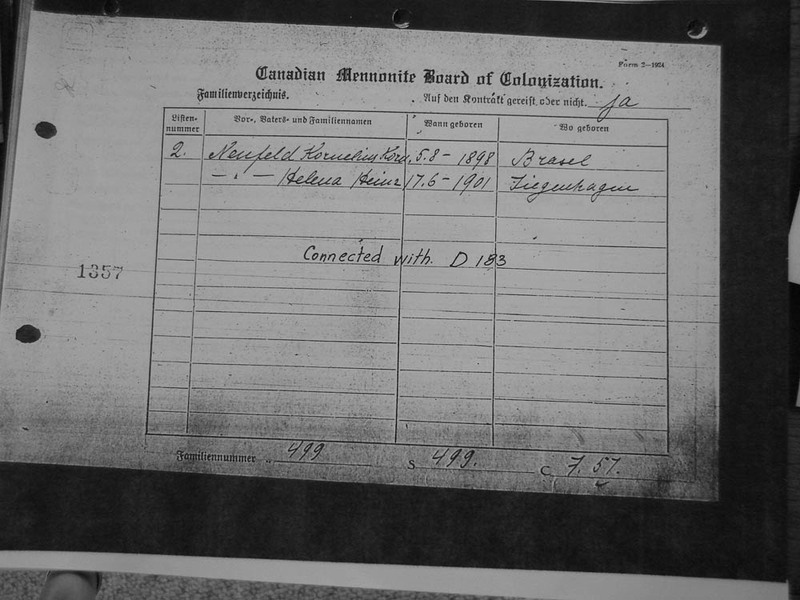 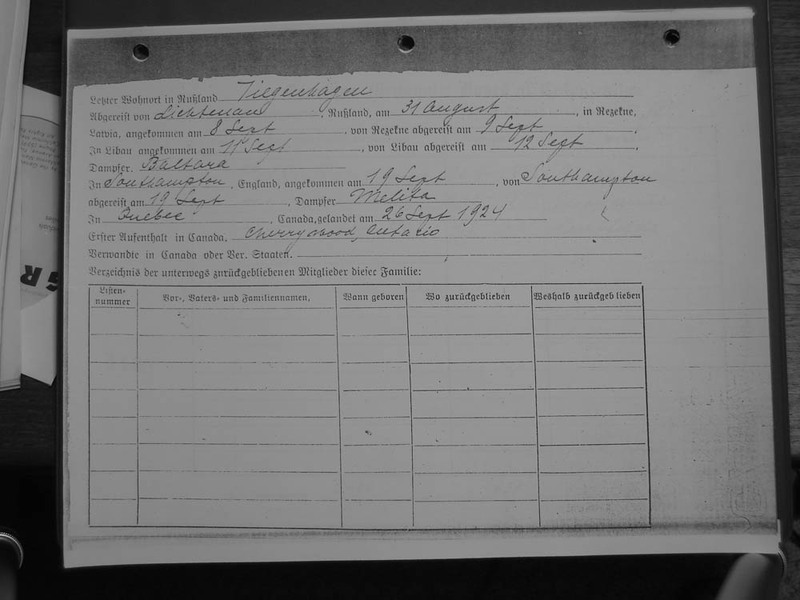 They left Tiegenhagen on November 5, 1925, and came to Coatsworth, Ontario on December 8, 1925.